Good Afternoon Cardinals! And here is your 5-Day Forecast. It is a hot and windy one today as we continue into Fall Break. Temperatures are soaring at an unseasonably hot 88 degrees. This pattern should continue for the rest of the long weekend, with highs reaching the 80’s consistently. 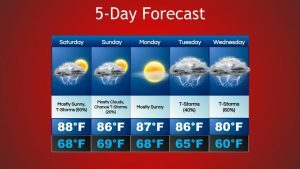 Chances of thunderstorms will continues over the rest of the long weekend as well. So keep that umbrella handy for the occasional shower/thunderstorm. 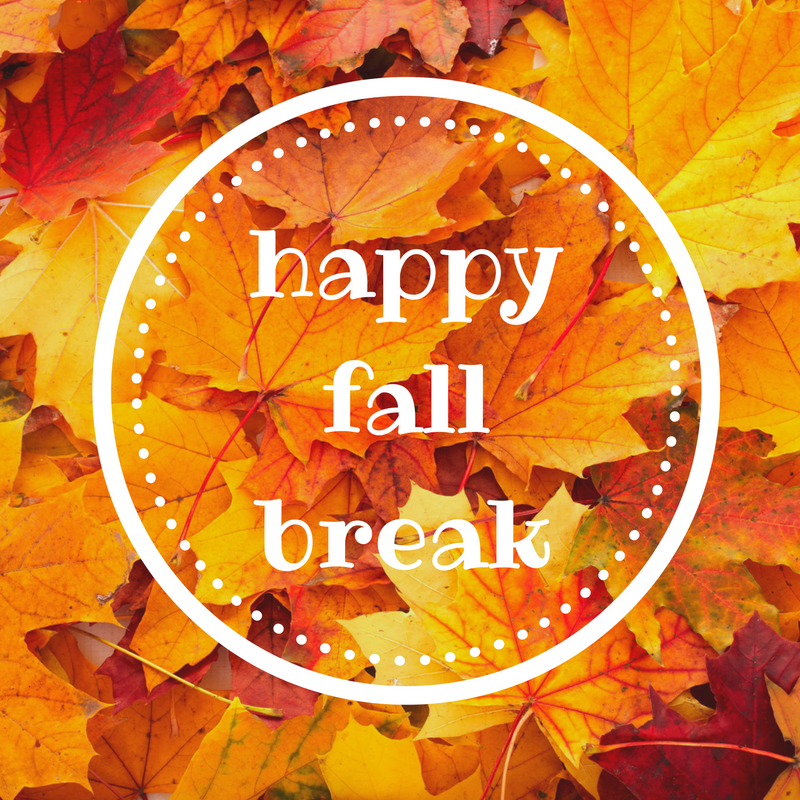 Happy Fall Break!